My wife and I are very lucky living on the side of a mountain in Central Pennsylvania. 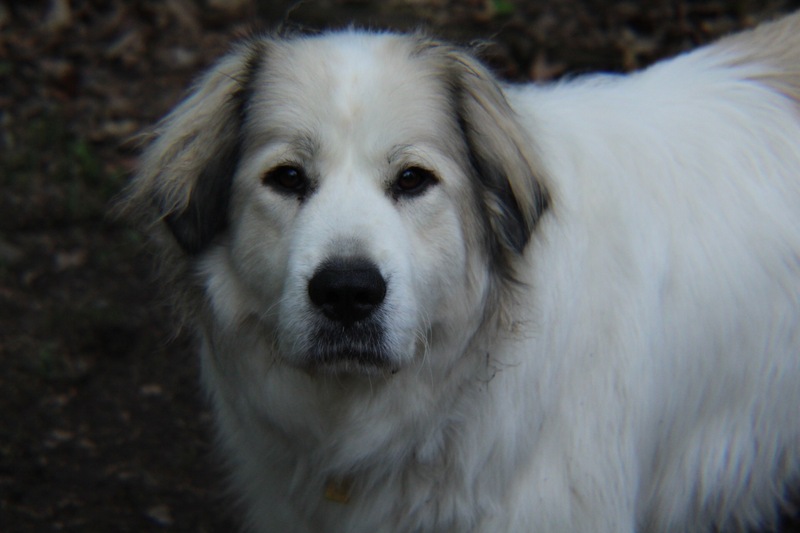 Clary, our 100 pound Great Pyrenees loves the woods. We have made a habit of going on daily walks down one of the three trails that run through our 11 Acres. Every now and again when walking the trail furthest from our house Clary decides she doesn’t want to walk anymore she will stop and sit. Getting her to move forward is akin to moving a mule that doesn’t want to be moved. The only direction she will go is home dragging me the entire time. 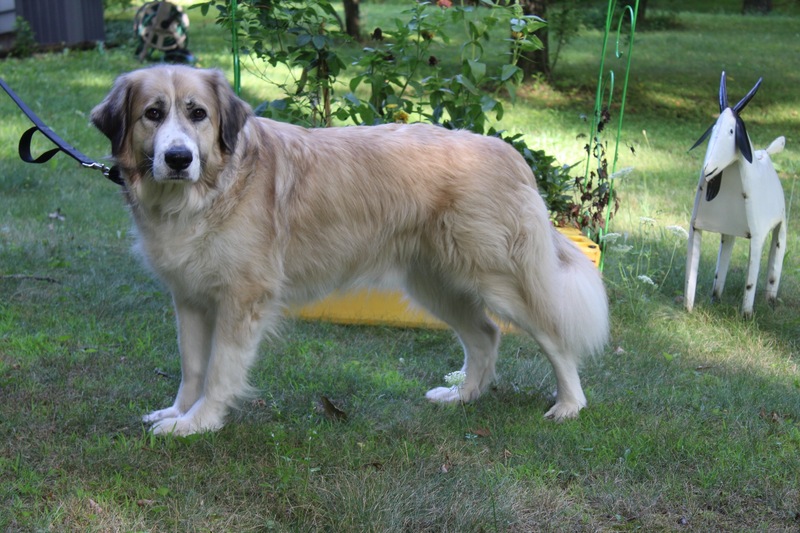 I was telling one of my co-workers about Clary’s refusal to go into the woods, he told me she probably hears the barking dog. At the furthest point on the trail, mainly in the fall when the leaves have fallen off the trees you can just make out a little hunting shack on the next ridge, sometimes there is a little smoke from a fire and one can hear a dog barking and if you squint just right you can just see it running back and forth barking it’s fool head off. “You have seen and heard this dog?” He asked? Seventy five years ago a young family built and lived in that house lived off the land in true homesteader fashion. Nobody is sure exactly what made the young man snap but one evening he shot and killed his wife, both his children and the dog, set the home on fire sat down on the front porch where he perished in the flames. To this day nobody goes near the place, some still claim to hear the dog barking. Hunters who try and hunt the land say it is barren of all wildlife and in the wee hours of the morning some see wisps of smoke coming from where the house used to stand. Yes Sir may I have Another? Yes Sir, May I Have Another? This was the week of June 26th. To say it was an eventful week would be an understatement. So many issues collided I can’t exactly put them in order. But I can come reasonably close. I won’t bore you with all the gory details. Suffice it to say I had a root canal and crown buildup, neither of which went smoothly. I burned my arm while making pizza in the oven. My wife twisted her knee which already needs replaced due to her bone on bone problem with both knees. The lights in our house would flicker every night around 9pm we had the power company out one night and they couldn’t find a problem. Then we lost our water. Turns out our well pump was going bad, and after the drilling company pulled the pump all 150 feet out of the well they found much of the wiring had rubbed away and also needed replaced. The bad wiring was causing the pump to pull in extra amps which made the lights flicker until it just gave up completely. Early in the morning Clary who is not allowed on the bed, jumped on the bed so she could get a better vantage point to make a flying leap at Quinn. Which wouldn’t be horrible but she used me as a launching pad. I have a scar on my arm from the burn which I can play with when bored. My mouth is still sensitive but I’m learning to chew on both sides of my mouth once again. Soon I’ll have another crown to add to the collection. Denyce is gaining strength in her other leg and has mastered the art of the ‘hobble’. We experienced what it must have been like back at the turn of the century living for a few hours like barbarians without running water. And we only paid 1200 dollars for the experience. A deal at half the cost! I have two wonderful scars going down my inner thigh with which to remember Clary.